The Studio is one large room with a kitchen area and an en-suite wet room with a power shower. 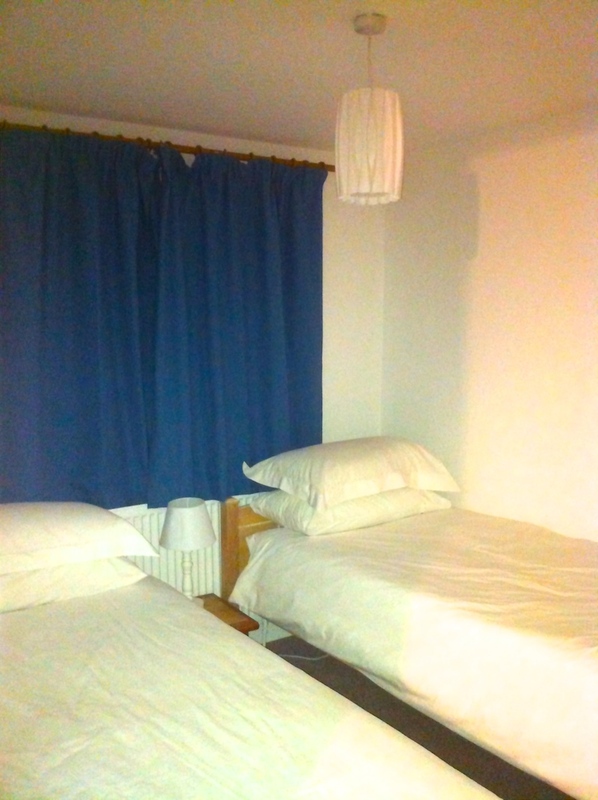 There is a double bed and a single sofa bed. 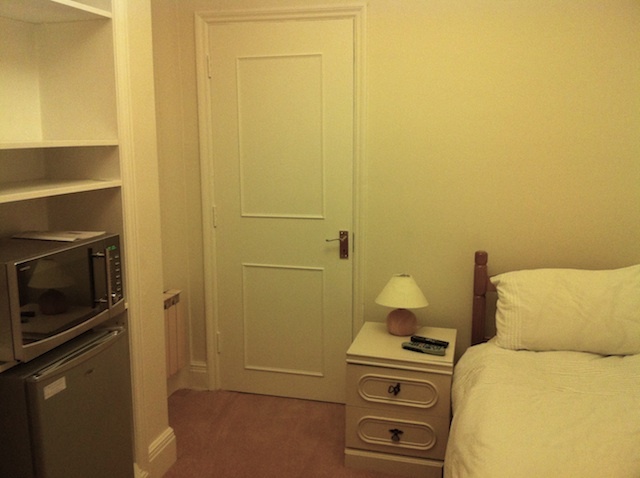 There is also an adjoining room with an additional double bed and a single bed subject to availability. 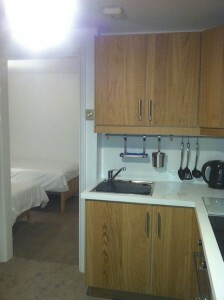 The kitchens are equipped with kitchen basics including tea, coffee, milk, sugar, cereal, condiments etc. The Studio has BT infinity with the hub located inside the studio for wired and WIFI interenet connections. There is SKY HD with channel choices including sport, movies and catch up TV. Off road parking is available but please reserve a place. The use of a washing machine and dryer is included. 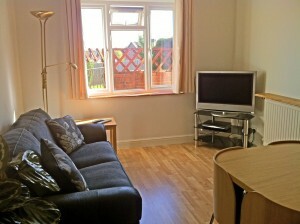 Spacious living area with double bed, single sofa bed and sofa. 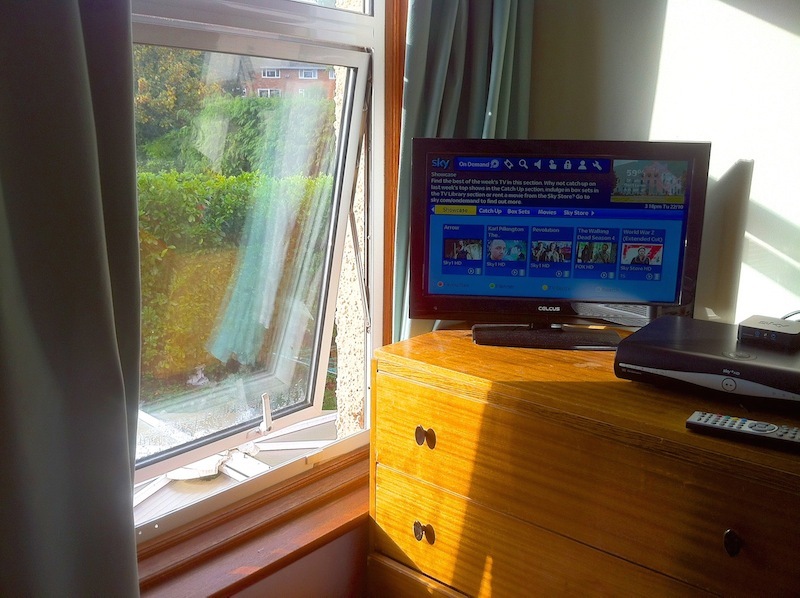 Sky HD TV with movies and sports and un-limited free internet. Fully fitted kitchen equipped with kitchen basics including tea, coffee, sugar, milk, cereal and condiments etc. 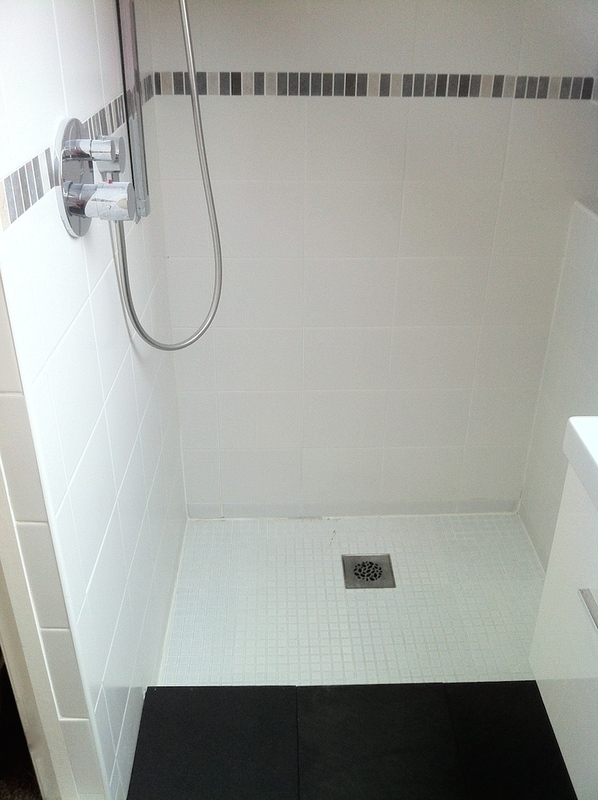 En-suite wet room with WC, basin , power shower and under floor heating. Subject to availability there is an adjoining room with its own TV services, a double and single bed and sofa. Flat 1 is a ground floor 1 bedroom apartment with a fully fitted kitchen and dining area. There is a comfortable double bed in the bedroom and a sofa bed in the sitting room. The bedroom has an en-suite with an electric shower and a bath. 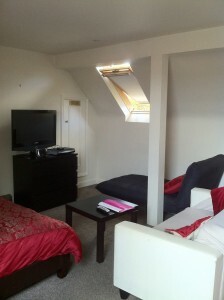 There is fast WIFI and SKY HD with channel choices including sport, movies and catch up TV. Off road parking is available. The use of a washing machine and dryer is included. 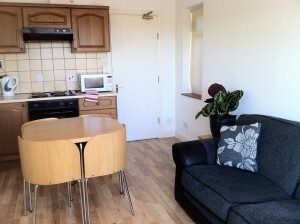 Fully fitted kitchen equipped with kitchen basics and with dining area. 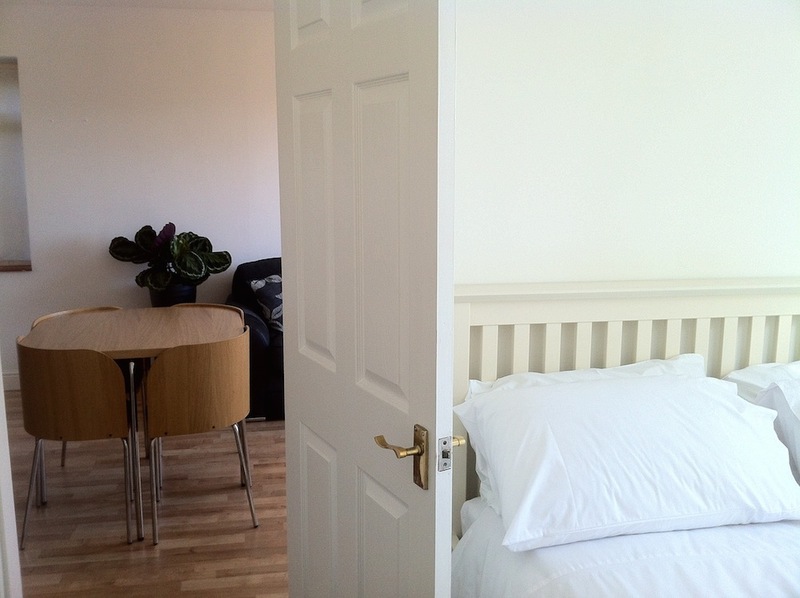 Separate bedroom with double bed. 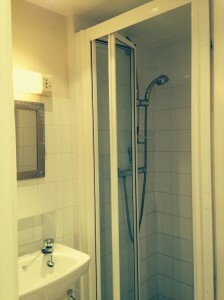 En-suite bathroom with bath and electric shower. Flat 2 is a first floor 1 bedroom apartment with a fully fitted kitchen and dining area. There are comfortable twin beds that can be put together with a mattress topper to form a king size bed. 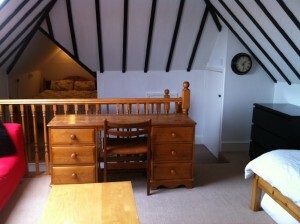 There is also a sofa bed in the sitting room. 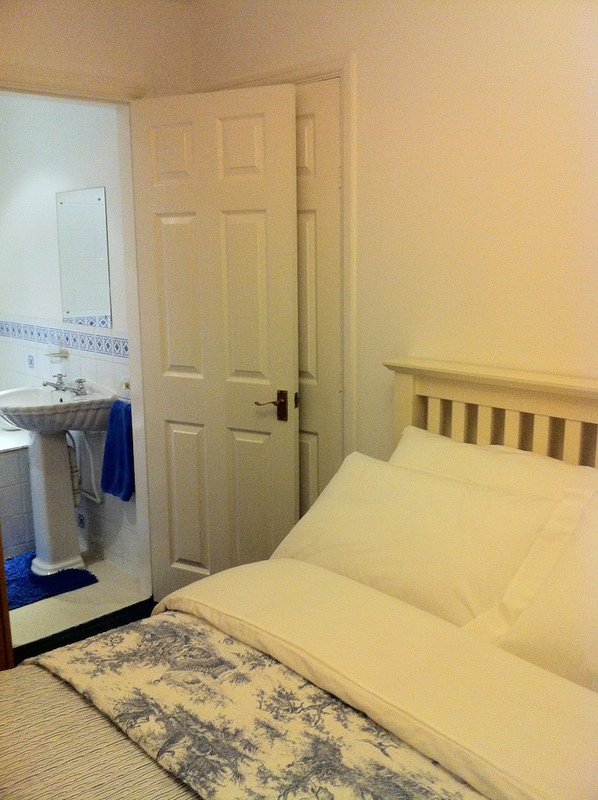 The bedroom has an en-suite bathroom with an over bath shower. There is fast WIFI and SKY HD with channel choices including sport, movies and catch up TV. Off road parking is available but please check availability. The use of a washing machine and dryer is included. 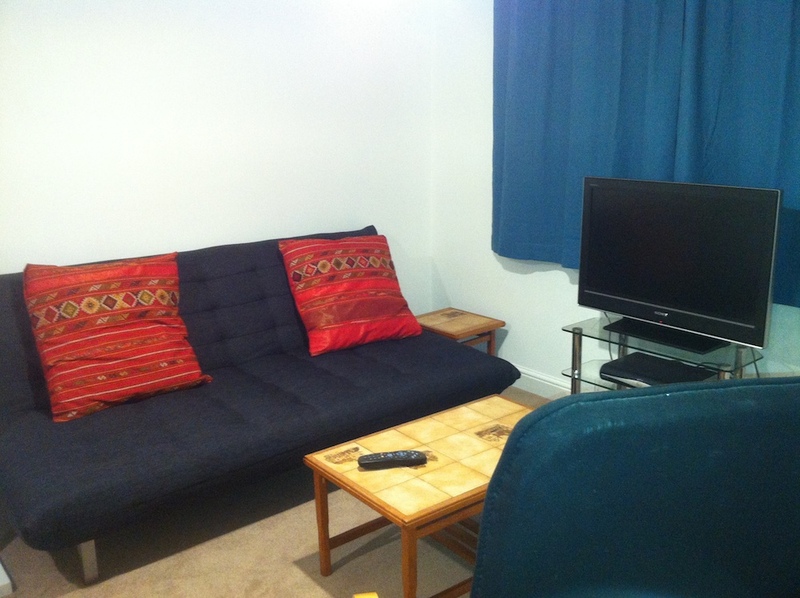 Double sofa bed , Sky HD TV with sports, movies and catch up TV. Fast unlimited free WIFI. 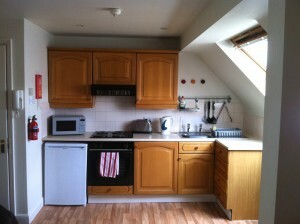 Fully fitted and equipped kitchen area with microwave/grill/cooker and induction hob. The kitchen is stocked with basics including tea, coffee, cereal, milk, condiments etc. Twin beds that can be pushed together and topped with a deep memory foam topper to form a seamless, comfortable 6′ bed. 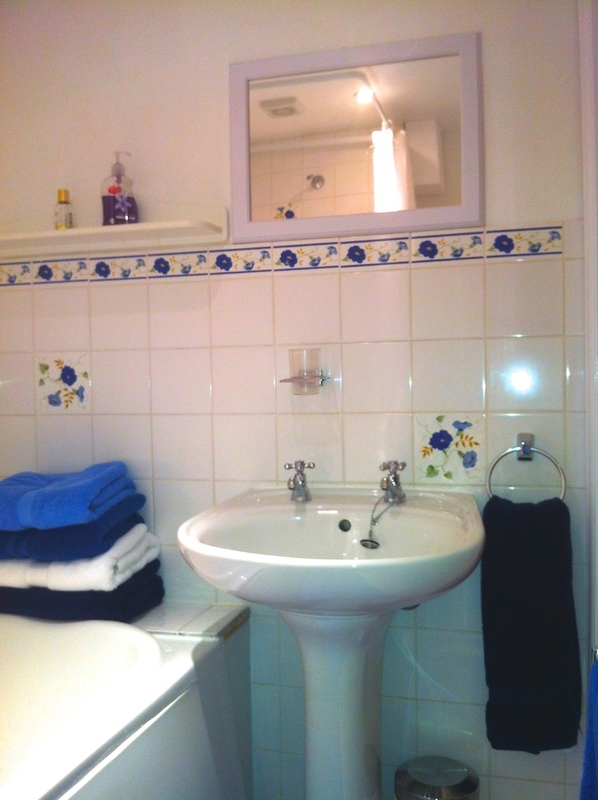 En-suite bathroom with bath, basin WC and over-bath shower. The single room is on the first floor. It has a fridge, kettle, toaster and microwave/grill/oven. There is unlimited fast free WIFI, sky TV with movies, sports and catch up TV. Catering facilites microwave/grill/cooker and fridge. 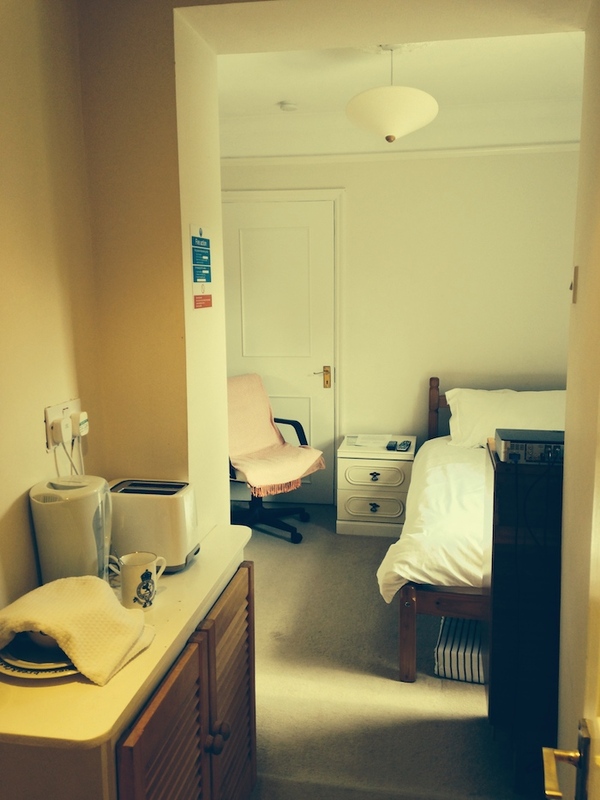 Catering facilities, kettle, toaster, complimentary tea coffee and milk . Sky TV with sports, movies and catch up TV. Unlimited free fast WIFI. En-suite shower room with WC and basin.